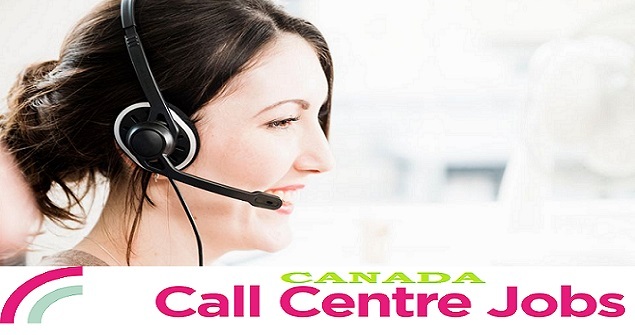 Call Center Jobs in Canada. While some employment sectors are suffering from an economic slump in Canada, the call center industry is a good bet for anyone looking for employment. There is a great selection of call center jobs in Canada covering a range of industries as companies begin to realize the importance of providing a high standard of customer service in retaining and encouraging business. If you are trying to find suitable work in Canada, beginning your search with call handling positions is a sensible idea. This article looks at why there are so many call center jobs in Canada and the different industries they can be found in. It also looks at the qualifications and experience you require to be eligible to apply for one of these positions and where to find vacancies of this type. Why Is The Call Center Industry A Good Bet? Call centers are springing up across Canada as companies strive to provide the highest possible level of customer service in an attempt to drive up sales and encourage repeat business. Having a central telephone point of customer contact is essential for handling all kinds of queries and routine matters and therefore there are always increasing numbers of vacancies in this field. It is also an area that has quite a high turnover of staff, especially at entry level as employee’s progress up the career ladder into supervisory roles. The call center industry also has positions at all levels, from basic call handling right up to management, meaning that there are vacancies to suit the qualifications, experience and skills set of a wide range of candidates. This is just a few of the businesses that have call centers and therefore it is easy to see how there is bound to be a sector that requires your individual skills and experience. The qualifications needed to apply for call center jobs in Canada vary depending on the role and sector applied for. While some higher level positions require a university degree and specialist knowledge, entry level positions may only require a good high school or college education. While some experience is an asset, it may not be necessary when applying for an entry level position as training is often given on the job. Perhaps the most important aspect of a call center job is communication and therefore it goes without saying that excellent communication and spoken language skills are an absolute must along with a good level of computer literacy as using a computer and keyboard is a key part of the role. An internet search for call center jobs in Canada will bring up countless vacancies which can be filtered by your region and requirements, such as part time or full time work. General job websites always list plenty of call center vacancies, however there are also specific Canadian websites dedicated solely to listing call center jobs and these are a great place to start. There are also several recruitment agencies which specialize in supplying call center staff to a range of companies nationwide and these represent an excellent way to find work without having to apply to lots of businesses as you simply need to submit your CV to the agency who will then match you up with roles that are suited to your skills set.